Sensitive scalps by nature have a permanent and excessive reactivity to external aggressions. 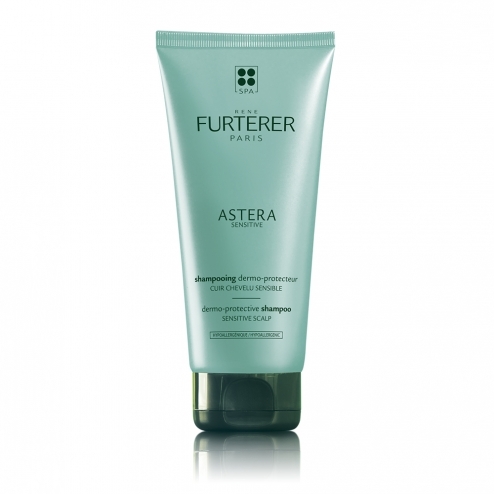 Rich in active ingredients selected for their softness, Astera shampoo high tolerance allows a very gentle wash and respects the balance of the scalp. The extract of natural origin of Asteraceae strengthens daily the natural defenses of the scalp and decreases ansi responsiveness. Durably soothed and protected, the scalp regains its natural balance. The hair is soft and shiny, easy to comb. Apply on the entire scalp. Rinse in case of eye contact. INCI formula: Water; sodium laureth sulfate; hamamelis virginiana; leaf water; propylene glycol ; sodium cocoyl apple amino acids; cocamidopropyl betaine; copolymer acrylates; caprylyl glycol; citric acid; echinacea angustifolia root extract; perfume; glycerin; glycol palmitate; glycol stearate; hexylene glycol; hydroxyethylcellulose; polyquaternium-10; polyquartinium-22; potassium sorbate; sodium benzoate; sodium chloride; sodium hydroxide; tetrasodium edta. Dermatologically tested, pediatric and ophthalmic.